I wanted to share with you a book I think is too good to keep to myself. 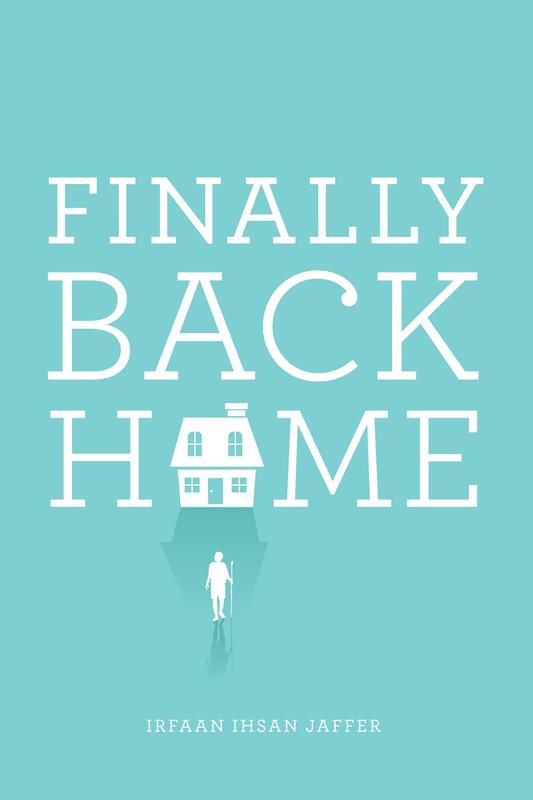 It is the recently published debut anthology, Finally Back Home. It is the work of the talented young poet Irfaan Ihsan Jaffer, who is currently a Doctoral candidate studying comparative religion with the application of religious mysticism in the modern world at York University in Ontario, Canada. I first became acquainted with Ihsan through his WordPress blog, iithinks, soon after I started my own blog. Although I would not say that I am greatly drawn to poetry, when I first read Ihsan’s poems, I was astounded at how this relatively young man was so spiritually wise. His poems expressed the depth of what I had experienced through my own spiritual journey, but found nearly impossible to articulate. I commented to him that he described “the indescribable,” a phrase he aptly adopted when he updated his About page. Reminiscent of the great poet Rumi, his poems speak of the soul’s eternal connection to Source. As humans encased in this seemingly solid form on earth, we often forget, yet yearn for, that connection; our rightful path is a spiritual one. I expect that once he is “discovered” by folks who are fond of Rumi and Hafiz, he will become quite popular indeed. Currently taking a break from blogging to concentrate on finishing his PhD, I miss in my inbox his daily reminders to stay soul-centered. Instead, I keep this slim volume of his work to hand, a wonderful collection of over sixty of his most popular poems. Finally Back Home is a book that you will reach for again and again. I highly recommend it! It is available at Amazon.com. This entry was posted in Inspirational Quotes and tagged "Finally Back Home", Amazon.com, anthology, book, connection, Hafiz, inspiration, Irfaan Ihsan Jaffer, mysticism, poetry, Rumi, soul. Bookmark the permalink. A lovely poem. I especially like the line “You become its breath”. He has quite the way with words, doesn’t he? It was tough choosing just one! I think you’ve chosen well, IMHO. Oh, this is a lovely poem! And the book is full of them. I’ve never seen such consistent talent, one right after another! Sadly, I don’t think his family supported his poetry and put a higher value on his doctorate, job prospects and family life (he got married). Sigh, the world needs his voice so badly!